Guerilla were approached by Husqvarna to work on a series of marketing materials for themselves, as well as their main sub brands; Gardena, McCulloch and Flymo. 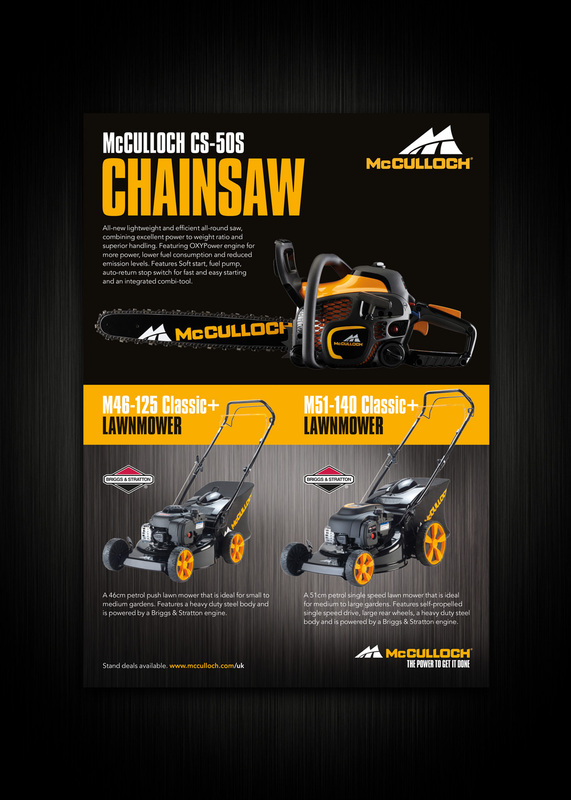 Husqvarna are well known as one of the worlds largest providers of outdoor power tools, and along with their sub brands, we were exposed to a blend of chainsaws, lawnmowers and gardening tools. Throughout the course of our partnership we designed and created marketing and promotional material to be used at various conferences throughout the UK and Europe, including the Glee Exhibition in Birmingham (the UK’s most valuable garden and outdoor living trade show for the retail industry). This material was also printed via third part media outlets. The aim was to help Husqvarna and its sub brands become the designated all in 1 supplier for garden maintenance on the market. The key message of the brief was strength, and to put across the message that Husqvarna offer the most robust products on the market. We understood that the market space is looking for convenience more than anything, which means that when the consumers do spend, they want tools to minimise strains and aches as well as get the job done as quickly as possible. 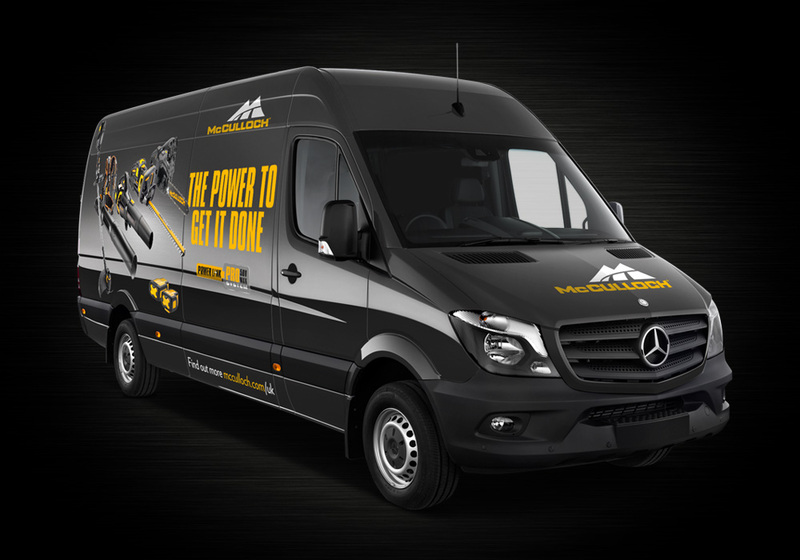 We were tasked with producing content that would make Husqvarna stand out and engage with consumers, whilst being easy to follow and adaptable in their ever changing marketplace. To begin, our project management team went over the brand guidelines as well as previous years marketing material to understand the imagery used and how it is normally presented. The timescales were often tight throughout this project with many elements of the design going to print within a small number of weeks. 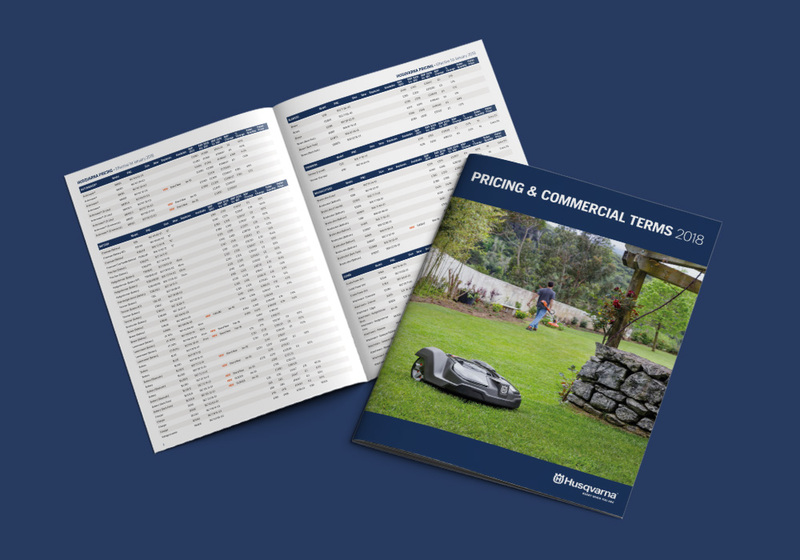 The key to achieving the brief was to create literature that was engaging, yet informative as most of the products were specification driven and we wanted to highlight the USP’s of these products in a way that was easily understood. 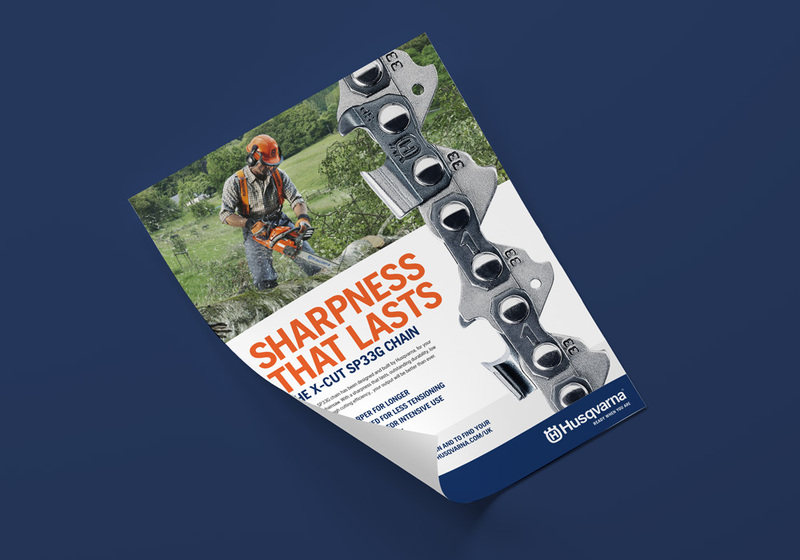 The aim of Guerilla was to create content that could be used across all of Husqvarna’s media, whether it be catalogue, brochure, or printed adverts through third party sources.